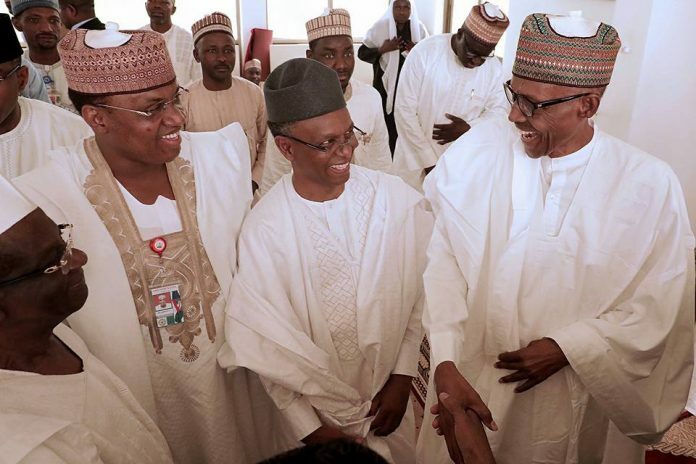 The Nigeria Labour Congress (NLC) has appealed to President Muhammadu Buhari to caution Governor Nasir El-Rufai of Kaduna State from instigating other Northern governors to sack teachers. Mr Ayuba Wabba, NLC President said this in a statement while reacting to purported statement credited to El-Rufai. The governor was reported to have promised to prevail on other northern governors to replicate retrenchment of teachers and other cadre of workers. Said Wabba: “It has been brought to our attention, statements credited to the Governor of Kaduna State, Mr Nasir El-Rufai, over plans by other northern Governors’ to imitate his path of sacking teachers in their state employment. “Unfortunately, the Governor of Kaduna State has decided not only to continue in his favourite past time of inflicting pains and sorrows wherever he goes. “He is also bent on marketing such profound proclivity for mischief to his fellow Governors. “We need to remind Governor El-Rufai that there is a limit to how man can play God. “By announcing that other northern state governors will replicate his insensitive retrenchment of teachers and other cadre of workers in Kaduna State post-2019 election, El-Rufai has already declared his own election and those of other governors he is purportedly speaking for a fait accomplice,’’ he said. He added that organised labour wishes to remind El-Rufai that he is not God, after all. He and other northern governors possess a voter card each. He said that the citizens at the receiving end of their unpopular and de-humanizing policies are in the majority. Wabba said that in 2019, NLC would ensure that the votes of the oppressed and victimised count all over Nigeria. He called on other northern governors, especially those in the same political party as El-Rufai not to be deceived into copying the failed and de-humanizing policies of the Kaduna governor. He said that the truth was the logjam has trailed El-Rufai’s phony reform of the education sector in Kaduna State. “This has overshadowed the public outcry that greeted his unjust sack of teachers and other cadre of workers. “This is the time for all the northern governors to caution Gov. El-Rufai before they are counted with him as frontline enemies of the Nigerian people. “We also urge President Muhammadu Buhari to call Mr El-Rufai to order. A stich in time might still save nine. “Finally, it might be helpful to remind El-Rufai and his co travellers that workers’ retrenchment violates workers’ fundamental rights. “It also runs afoul of Nigeria’s labour laws, international conventions and best industrial relations practice,‘’ he said. Wabba added that the people’s voice will remain the voice of God. “Nigerian workers are ready to speak when the time comes. A word is enough for the wise”.